In today’s litigious society, it is becoming increasing important for law firms to make sure they identify clearly, and appeal to, their target audience – not only by saying the right thing (in unpatronizing tones!) but also by appealing visually to them. 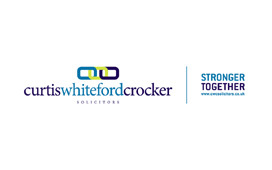 So, when Curtis Solicitors, a very well established west country practice merged with an equally well-known firm Whiteford Crocker, the senior partners recognised that the new entity would need its own, new brand identity. In the briefing session that followed the appointment of CMA to handle the task, the key element of the merger became apparent – which was to promote the perception of an even better service to a wider group of clients - from business as well as private sectors. It was also important to ensure that existing clients of each of the two firms felt comfortable with the larger firm, to ensure their business was retained. This allowed the brand logo to be developed using symbolic “chain” imagery to be woven into it, creating a powerful feeling of belonging. Once the brand identity was agreed, a planned schedule of marketing activities was initiated. Since the new website would carry all the necessary “comfort factors” and unique selling points that prospective and existing clients would need to digest, it was essential to create a buzz of activity to drive them to the website. Each one featuring the new “Stronger Together” strapline. 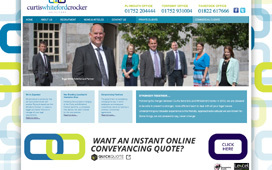 A further key element of the new practice was to introduce the senior partners of the new, enlarged practice. By creating a carousel of partner photos on the home page, a personal and friendly greeting was presented to prospective clients, while existing clients of both the merged practices were able to familiarize themselves with the new partner lineup. Further on in the website, details of the areas of responsibility of each of the partners and associates is presented, together with clearly explained details of the disciplines and activities clients can expect from this new, stronger together law firm.